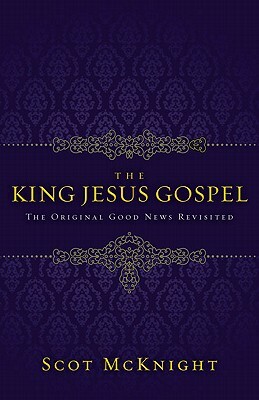 Scot McKnight’s latest book, The King Jesus Gospel, has already been sufficiently reviewed and debated in print and online. Of interest to many (and consternation to some) is the definition at the center of the book: “The gospel, I am arguing, is declaring the Story of Israel as resolved in the Story of Jesus.” The theological assumptions and practical implications in this short description are vast and it’s not hard to understand the book’s interest, especially among those of us who place the gospel at the center of our faith. Rather than add to the already-plentiful reviews, I’ll reflect as a pastor as to why the ideas in this book matter significantly to the people in our churches. To reiterate, Scot understands the gospel as they way Jesus completes the story of Israel. Within this understanding lies the conviction that Jesus must be seen as the one who fulfilled the vocation of priest and king given first to Adam and Eve and then to the nation of Israel. It is the atoning death, burial, and victorious resurrection of the Messiah that completes this story and, by virtue of his fulfillment, offers eternal salvation to all who believe. Gospel, then, includes salvation but is larger than salvation. A third of the way into the book, after explaining what the gospel is, Scot identifies two pitfalls when we mistake salvation with gospel. First: “When we separate the Plan of Salvation from the story, we cut ourselves off the story that identifies us and tells our future.” This is an identity issue and it’s rampant within evangelically-oriented churches. Without seeing the overarching gospel narrative contained in the Bible it is almost impossible to understand the community into which we’ve been saved. This is a community with a long history, a bright future and deep convictions that sustain us in the present. Tied to this identity confusion is a second pitfall: turning the gospel “into a story about me and my own personal salvation.” Removing salvation from the Scripture’s gospel narrative results in a system rather than a story. Conceived within evangelicalism this system has to do primarily – and sometimes only – with individual salvation. Not only do people enter their faith without a robust identity, they have also been told that this faith is mostly about them. It’s a system that fits well with American individualism and poorly within the New Testament’s expectations for Christians. Both of these pitfalls – identity confusion and individualistic salvation – are issues faced by many frustrated Christians and no ministry or church program will adequately address them. The gospel described by Scot does more than address these issues; it goes to the heart of the matter and offers a vision of genuine transformation.